The ultimate guide to Filzmoos ski holidays in 2019 & 2020. Located amidst the stunning surrounds of Ski Amadé - Austria’s biggest unlinked ski area - which includes the immense Dachstein glacier, this pretty alpine village is brimming with charm and things to do. With lovely mountain huts, an extensive range of outdoor activities and excellent ski schools introducing beginners to the ski area, this is a terrific family ski destination. 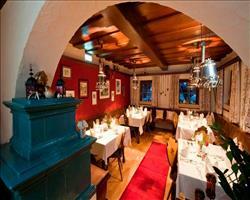 Located just 60 kilometres south of Salzburg, Filzmoos lies at the foot of the impressive Bischofsmütze Mountain. One of the best things about this resort is its magnificent scenery that has remained unspoilt despite development in the area - take in the breathtaking vistas covering rivers, forests, mountains and the immense Dachstein glacier, which is open for skiing. This is a relatively remote and peaceful resort that has retained a good balance between traditional architecture and modern convenience. There is no through traffic and the village is very close to the ski area so holidaymakers can reach the slopes by foot and usually ski straight to their hotel door. Getting here is easy thanks to excellent transport links; Bahnhof rail station is just 11 kilometres away and Salzburg, Klagenfurt, Linz, Ljubljana and Munich airports are all within two hours’ drive. The 16 slopes are very spacious with few crowds and, best of all, there are rarely queues at the ski lifts (there are 8 in total, which can carry 9,000 snow lovers an hour). The wide open pistes are ideal for learner skiers and snowboarders looking to practice their technique safely. 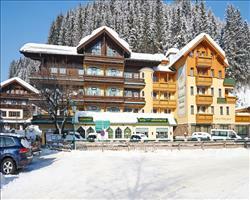 While Filzmoos is best suited to families or the less experienced skier, this resort is also great for mini breaks, and cross country and glacier skiing. As the resort is part of the Salzburg Sportwelt, in the heart of the Amadé, Austria’s largest interlinked ski area, purchasing a ski pass will automatically give you access to five different resorts, offering 270 modern lifts, 860 kilometres of runs, and a total of 360 pistes. The ski resort is only lift-linked with neighbouring resort Neuberg but a ski bus also runs three times a week and will connect skiers from Filzmoos to other Ski Amadé resorts. View our detailed Filzmoos snow forecast or snow report and see all live webcams, piste maps, road and travel maps and lift pass prices. For a picture of historic snow conditions see the snow depths month by month with our Filzmoos snow history. 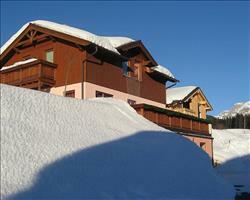 The local ski area consists of sixteen pistes and trails which should satisfy inexperienced skiers and children. There are two main areas for beginners, one at the bottom of the Grossberg chairlift and another at Rettenegg, with wide and uncrowded nursery slopes close to the village centre. Here, beginners can safely practice their skiing, either independently or with one of the three ski and snowboard schools. More advanced skiers should head to the Grossberg, the main skiing area, where they have the option to take the Mooslehen chair lift to Neuberg in the neighbouring valley, or the ultra-modern 6 person Papageno gondola up to the Moosalm slopes. Here, there are a variety of blue and red slopes and one more challenging black run, Hochleiten, which leads straight down to the village. Experts may want to attempt the 8km Olympic Run from Altenmarkt to Radsadt for a real challenge! Although Filzmoos doesn’t have any snowparks or a designated freestyling zone, the Amadé ski area has 14 snowparks and timed sections. There is a new park in Flachauwinkl-Kleinarl with multiple banks, moguls and sharp turns. The top of the Papageno gondola also hosts the 14km Rossbrand trail for cross country skiing. The Dachstein glacier ski area is included in the Amadé pass and provides a great opportunity for glacier skiing and off-piste ski tours amidst stunning surroundings. The glacier, which stands at 2,700 metres above sea level, offers 18km of free-riding slopes, including the highly recommended 8km Edelgrieß run and the Atomic Superpark Dachstein (one of Europe’s largest snowparks) which consists of an array of obstacles, ramps and rails, ideal for snowboarders and freeskiers. The glacier is a 20 minute drive away and can be reached by taking the daily public bus service (there is one change). While not as lively as some of the bigger resorts in the Amadé region such as Flachau and Schladming, Filzmoos does have a handful of entertaining beer gardens and bars where you’ll find live music, DJs and karaoke. Most visitors head to Happy Alm at Hotel Happy Filzmoos after a long day on the slopes and later move on to either the cosy and traditional Kenn’i di Bar or the much livelier Kalahari Bar. Filzmoos has a total of 31 restaurants which predominantly serve traditional Austrian dishes such as schnitzel, goulash and pork roast. If you’re looking to indulge in some fine dining then visit the Hubertus restaurant where the head chef, Johanna Maier, has been awarded four chef’s hats by Gault Millau. Off the slopes, there are a huge number of activities and excursions available. Relax with a swim and a sauna in the Erlebnispark sports and leisure centre, which is open every day excluding Monday, or choose from an extensive list of outdoor winter sports such as ice skating, snowshoe hikes or curling, Austria’s traditional national sport. Horse-drawn sleigh rides are very popular and provide visitors with the opportunity to explore the forests and surroundings by night. This family friendly resort ensures that children are well looked after and thoroughly entertained. In addition to bowling, tobogganing and horse-riding classes, the ski schools arrange a number of fun events such as treasure hunts and a children’s disco. Trips to Mozart’s birthplace Salzburg or up to the Dachstein Glacier are well worth taking - the glacier has stunning panoramic views of hundreds of mountain peaks and thrill-seekers even have the opportunity to paraglide from the summit. When is the best time to ski Filzmoos? Although its altitude is not especially high, Filzmoos retains a good snow record due to its proximity to the Dachstein glacier. The Dachstein often remains snow-covered well into the summer season and so offers great skiing opportunities throughout the season for skiers and snowboarders of all levels. Snow conditions are best mid-season, with the greatest amount of snow typically falling in January, February and March. There are also 28 snow canons covering 11km of trails for periods of less snow cover - in all, 90% of the Ski Amade has snowmaking. Filzmoos is a famously quiet resort and it is unlikely that you will ever have to queue more than a couple of minutes for ski lifts. As it’s so family-orientated, couples or childless groups may want to avoid visiting in school holidays as activities tend to cater towards children rather than adults. If possible you should visit Filzmoos during their Balloon Festival in January to watch as dozens of hot air balloons fly over the snow-clad mountains. Filzmoos has been nicknamed “Balloon Village” as every January balloon teams from around the world come to compete in an international contest. Colourful hot air balloons fly over the Amadé region over the week, culminating in the “Night of Balloons”. Illuminated balloons light up the night sky, while spectators listen to music, sample local food and drink and enjoy a spectacular firework display. Continually topping the lists of family-friendly Alpine resorts, Filzmoos goes the extra mile to ensure that all members of the family feel warm and fuzzy on their week away. You won't find a bar where children aren't welcomed with warm juices and open arms -and places like Bar Kenn-i-di even run children's discos, with dinky “mocktails“ so that young ones can feel that they've après skied too. The ski area here's naturally well-suited to unsteady skiers, with nursery slopes that sit right in the centre of the resort, a super slow learner's lift and excellent encouraging instructors. Easy connections to the popular slopes around Flachau and the wider Ski Amadé region ensure that no one's getting bored on Filz's watch. Each of the 3 ski schools practically lives for children: the Filz Skischule offering fun and games like flag parades, treasure hunts and competitions to keep little ones on their toes, while the Bogei School runs the Fun Park with a carousel, rails and kickers. It's hard to keep track of all the huggable mascots around - characters like Schörgi the snowman, Bobo the Penguin and Bärtl the bear can take kids on thrilling torchlit forest walks, sleigh rides and storytelling adventures. There's something for all age brackets- so if you'd like your teen to crack a rare smile, book them in for a snow biking workshop, or take them out to the floodlit toboggan run and soar down to the village under the stars. Groups looking for a relaxing week away and to introduce the uninitiated to the sport could do a lot worse than Filz. Après is subdued - more mulled wine and karaoke than trays of shots and table dancing - but there are still places (like the trendy Kalahari bar) where dancing till 4 is an option. 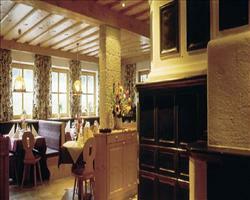 Folk nights at the Unterholfalm are a resort favourite, reached by horse-drawn sleigh. Family friends especially will enjoy the winter fun park, tonnes of child-friendly activities (from snow tubing and snowbiking in the day to bowling and discos at night) and fine restaurants like the Hubertus (run by Austria’s “chef of the year”, Johanna Maier), for leisurely lunches when the kids are in lessons. While learners benefit from expert tuition, encouraging beginner’s slopes and one of the weekly beginner’s ski tours – those with more experience can take the 15 minute bus trip to Flachau or invest in the Ski Amadé pass and disperse across 760km – with an app to guide them. "Excellent week with the grandchildren"
We had an excellent week. I liked the ski area which was good with the two little ones we had with us (who were learning to ski). Overall it was very very good and suited our purpose. The immediate ski area isn’t huge - just a couple of runs up and down and that’s it, but the actual pass covers a lot more. If you could just have a pass for the immediate area instead of the whole Amade that would be good, as getting to the other areas involves buses and we didn’t need it all. 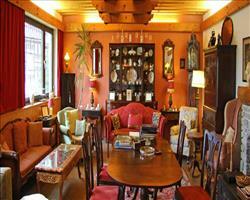 The village itself is very traditional with hotels, cafes, ski shops and gift shops. There’s a beautiful little old part made up of old bars, which obviously was once the farm of the village. "A good place to bring beginners"
Filzmoos is a sweet place with pleasing architecture and accessible slopes. I’d been here before and decided to come again with my girlfriend who was a beginner. The skiing is very limited so it’s the perfect place for a beginner to find their feet. It’s a nice little resort, very family friendly with lots for children like play areas. There are a number of bars and hotels but there isn’t a lot on in the evenings. The resort didn't have any snow for the week we were here, but we managed to find some snow elsewhere. There’s a bus service that runs 3 days a week to another resort – you generally have to pay for the bus but given there was no snow in Filzmoos, the authorities decided not to charge us for it. On the other 2 days we hired a private taxi to Schladming – it cost about 15 euros each (with 8 people in the taxi) and the company was very good.